Here in the CG Lair you will find a collection of my best CG images produced over the last few years. There are five picture galleries which you can visit by clicking the gallery tiles on the left. 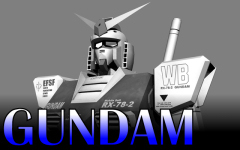 The Gundam Gallery features mecha from the Mobile Suit Gundam universe, mainly fom the original series but with a few from later shows as well. 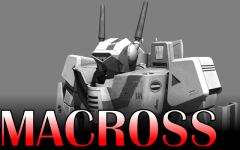 The Macrosss Gallery features mecha from the anime series Super Dimension Fortress 1 Macross, also known as the Macross segment of Robotech. The Other Gallery collects the pictures I have done of mecha from various other, non-Gundam and non-Macross anime. 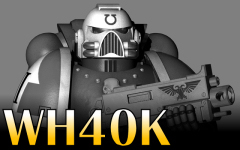 The Warhammer 40,000 Gallery takes you to the distant future where mankind struggles on the brink of extinction in a universe where there is no time for peace, no respite, no forgiveness, only war! The Original Gallery contains images which feature my own designs based both on anime and other sources. The Daleks Gallery contains images which feature the alien Daleks from the popular BBC science fiction series Doctor Who. Most of the designs are original reworkings of the classic designs seen in the show. 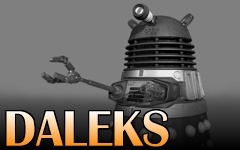 Now includes my ongoing CG comic which features my Daleks in their own universe, as well as a number of free CG models to download. 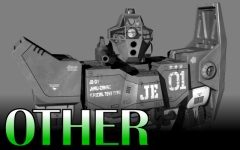 01-08-15 Added a new Poser model to the Downloads page. The images on this site were produced using Maxon's Cinema4D with some of the backgrounds created in E-on Software's Vue and Terragen. 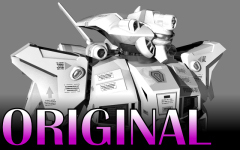 While the images are mine many of the mecha they show were created by other people and the copyright for those designs is and remains theirs. These images must not be used for commercial purposes without first obtaining the consent of the original copyright holders. No antelopes were harmed in the making of this website, but a couple of small badgers may have been slightly inconvenienced.